"He (the station master at AIR) looked me up and down and told me, ‘boy, put on some grey hair, some maturity and then come back"
One of India's experienced Hindi commentator Sushil Doshi takes us down memory lane -- he talks about his inspiration to pursue the profession, the experiences and of course, love for cricket. Jin logon ko dil ki bimari hai, woh commentary na sune toh behtar hai, kyonki unke doctor unhe yeh salah de rahe honge ki yeh romaanch jo sar par chadh kar hawi ho raha hai, yeh unke dil ke liye hanikarak sabit ho sakta hai." These words by well-known Hindi radio commentator Sushil Doshi in the 1979 India-England Test Match could well be said for the weak hearted intending to watch the India-Australia cricket World Cup semi-final face off today. When Sushil Doshi, 65, gets ready to take the mike on Doordarshan for the commentary, perhaps he may recall his own words that people still remember him by even after 33 years. "That moment is permanently etched in my memory. "It was the Oval Test, Sunil Gavaskar had made 221 runs and the match was at an exciting stage as victory for India was within sight," he tells me over the phone from Indore, where he lives now. Elaborating the episode that was responsible for his now famous quote, Doshi says, from the commentary box he saw some people leaving the stadium and asked them in between the overs why they were leaving the match at this juncture. "They told me since they were heart patients their doctors had advised them to avoid excitement of such a nature. So when I took the mike, I shared the same sentiment," says Doshi, repeating those lines in Hindi in his inimitable style over the phone for my benefit. It took me back to the days when life was lived at a leisurely pace stretched over five long days around a transistor. There are Gods, and then there are some more Gods. If the likes of Sachin Tendulkar, Brian Lara, Sir Don Bradman, Imran Khan and Muttiah Muralitharan occupy the sanctum sanctorum, then legendary cricket commentators like Tony Kornheiser, Narottam Puri, Suresh Saraiya, Ravi Chaturvedi, Vizzy, Jasdev Singh, Sushil Doshi and more occupy a pantheon of their own. There are many die-hard fans of cricket commentary as there are fans of the game itself. Besides a thorough knowledge of the game, the commentators were required to have a knack for storytelling. The ball-by-ball account from the field was not literal (as the new breed of TV commentators often resorts to). These radio commentary wizards conjured up the action on the field with their own brand of magical style for their listeners. Doshi was particularly enamoured by late Suresh Saraiya whose commentary was often referred to as Saraiya raag because of his sing-song, flowing style. Doshi himself could get your adrenaline rushing by capturing the suspense of the game with a dramatic effect achieved by his voice pitch and tone. R K Krishnaswamy, who was an English cricket commentator in All India Radio (AIR), tells me that radio commentary is very difficult. "You have to telescope yourself into a single dimension where you and the game are the only reality. "You have to have that kind of focus. "Your word is the truth for millions of people listening from hundreds of miles away. But the pleasure you get from this entire exercise is almost orgasmic," he says throwing caution to the winds. The young today can be forgiven for thinking radio commentary is for bald, ageing men. The station director at AIR thought so too when an 18-year-old Doshi walked into his office expressing his desire to do commentary in Hindi. "He looked me up and down and told me, ‘boy, put on some grey hair, some maturity and then come back,’ and he dismissed me," reveals Doshi with a laugh. But as destiny would have it, the government had issued a directive to AIR to begin cricket commentary in Hindi and the deadline was immediate. Since no one else came forward until the last date, the station director somehow managed to trace Doshi and offered him the job. 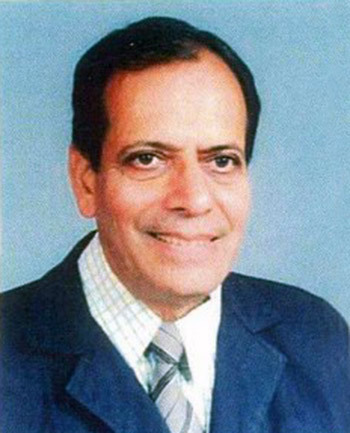 Doshi had no experience in radio commentary, and though he was a keen follower of the game and would often imitate English commentators, the task of describing the events on the cricket field live in Hindi proved to be a big challenge. This was the time when AIR could make someone a star overnight, but when Doshi first took the mike in 1968 for a Ranji Trophy match, he received a lot of criticism. At that time, people could not imagine and found it odd that there could be a cricket commentary in Hindi. It was a big blow to my tender heart. I then realised if I have to do this, I better do it well. I had got a golden opportunity and did not want to lose it. There was no one I could imitate so I had to invent my own style. Doshi, an engineering graduate who also had a soft spot for Hindi literature, had his task cut out for him. He remembered Dharamvir Bharati’s (editor of Hindi magazine Dharmyug) words about connecting with the listener’s heart while doing commentary. "He told me say it with your heart and it will reach their hearts as well. He showed me the path which I follow to this day," he says. Doshi had realised that there was no use in just translating the cricketing terms in Hindi. "For instance, if I said ‘vargakar pair’ for square leg it just would not make any sense to the listener, so I left the terms as they were. But I invented my own language and style for the strokes that the batsmen played. "Since I also used to play cricket I knew what a batsman does before he hits a shot for the boundary, and I decided to use that to my advantage. "So, for a square cut, I knew that the batsman removes himself from the line of the ball, makes space for the stroke and then cuts it to the boundary," he says. Thus his commentary for a square cut boundary by a batsman would go something like this, "Short pitch gend thi, off stump ke bahar backfoot par gaye, stroke ke liye jagah banaye aur bahut khubsoorti ke saath square cut kar diya chaar runo ke liye." Incidentally, Doshi is the only cricket commentator who has a commentary box named after him, which is at the Holkar cricket stadium in Indore. But for all this, his journey began on a very humble note. "I come from a middle-class family. Once when I was 14 years old, I threw a tantrum that I wanted to watch the India-Australia match at the Brabourne Stadium in Bombay then. I think it was the 1957-58 series when Australia was touring India under Captain Richie Benaud. "Just to please me, my father took me to Bombay and for two days we just stood outside the stadium as my father had no idea how to take me inside. "On the third day, he pleaded with the policeman guarding one of the gates if he could allow me inside. "I happily went in without a thought for my poor father waiting outside. But at that time, all I cared was to get a look at the players even from afar. "Then my eyes went up to the commentary box where Bobby Talyarkhan and Vijay Merchant were giving the commentary from, and for a fleeting second a thought crossed my mind, what if I could one day occupy this commentary box," Doshi relates. "Believe it or not," says Doshi, "I started my Test match commentary career from that very commentary box." He tells me whenever he recalls his father’s sacrifice of those five days to make his young son’s wish come true, his eyes well up. Today, Doshi also does TV commentary and is perhaps the only Hindi cricket commentator to have covered nine world cup matches so far. You can catch Sushil Doshi's commentary on Doordarshan today. Applaud the Indian Cricket Team!